Until recently, I had not tasted Chocolate Cola Cake. On the evening we arrived in Tipperary, a restaurant was recommended to us for dinner. Feeling hungry, we headed off in the rain. A short drive later and we found The Fairways Bar & Orchard Restaurant. What a gem! The food here is delicious, and to say the portions were generous would be an understatement. 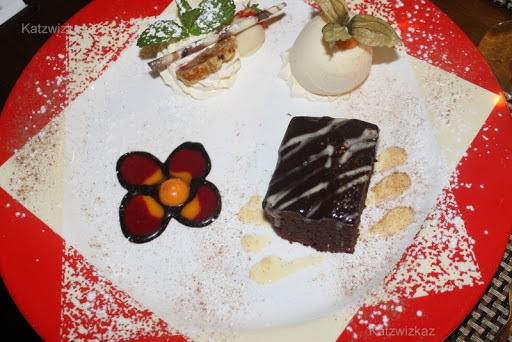 No matter how full you are after dinner, I feel it would be rude not to leave room for dessert. After being told what was the selection for that evening, I jumped at the chance to try their Chocolate Cola Cake. It was really light-tasting, and moreish. Naturally, further investigation was required on my return home. I really should have asked for their recipe! 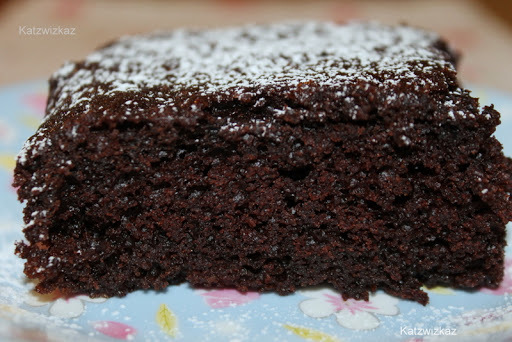 My version on Chocolate Cola Cake is a combination of every recipe I have come across. The quantities have been adjusted to suit my baking tray. Pre-heat the oven to 180C/Gas Mark 4. Line and grease a 9 ” x 7″ baking tray. I line my trays and tins with re-usable teflon sheets. Beat the butter and sugar together until fluffy. Beat in the eggs, a little at a time. When this is done, add the Cola and mix everything well. Meanwhile, in another bowl, I sifted in the flour, cocoa powder, bicarb, and cream of tartar. 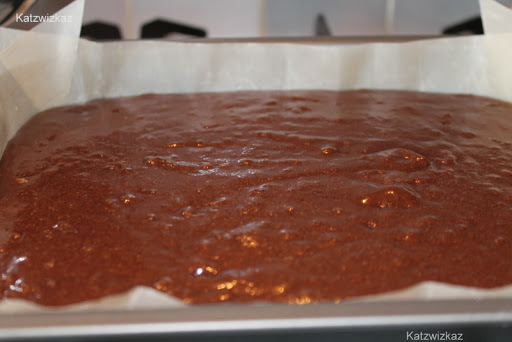 Now, add the dry ingredients to the wet, mix well, and pour the mixture into your prepared tin. Cook for 40 – 45 minutes, (checking after 30 minutes). Test with a metal skewer to see if it is cooked through. 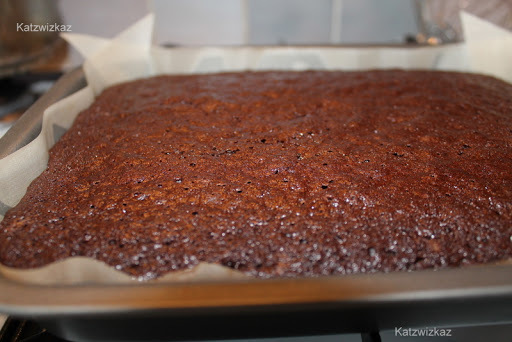 The consistancy was that of a brownie, and perhaps using more cocoa powder next time will dry it out. Here’s a recipe for icing. It comes courtesy of James Martin. Melt the butter over a low heat. Seperately, sift the icing sugar. Stir the Cola and Cocoa into the butter and bring to the boil. Pour this over the icing sugar and beat together until smooth. Pour the icing over the cake, while the cake is still in the tin, and leave to cool completely. I did not ice my version. Instead, to serve alongside it, I whipped up 125ml of cream, and added 2 tablespoons of Crossogue Preserves Lemon Curd, one teaspoon at a time, and mixed in gently. 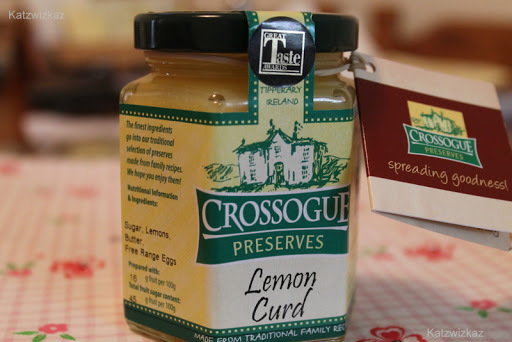 This lemon curd has a beautiful flavour, and partners really well with the cake. A little tip: Take it slowly with the lemon curd. Adding lemon to cream tends to set it, and, if you are not careful, even turn it, in some cases. Makes a lovely dessert, or on it’s own with a cuppa. Enjoy! Give it a go, if you get a chance. Let me know how you get on. Oh wow, this sounds great! I saw it on my blog list this morning and couldn't wait to click on it! Thanks for your comments. Hope you try it. 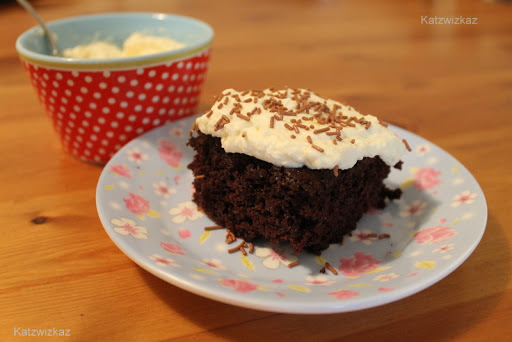 I've made Nigella's ham in Coke, so why not Coke in a chocolate cake? Can't wait to try this! Thanks, Kristin. remember now she did. Hope it turns out well for you.